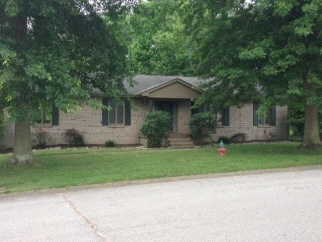 Description: Price reduced $5000 this house is an all brick ranch with walkout basement in desirable stoneybrook subdivision of winchester. It backs up to the green space of the county park. It is only a 20 minute drive to the hamburg area of lexington. The kitchen has been upgraded with new cabinets and there is new carpet throughout. There are mature trees in the front and back yard which provide shade and singing birds. Very large den with wet bar and plenty of room for a pool or ping pong table. A large deck in the back that looks out over the county park. This house has 4 bedrooms, 3 baths, and even an office. Data believed correct but not guaranteed. Buyer to verify data prior to offer. Agents read agent remarks.